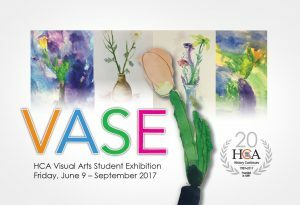 A pre-artcrawl celebration for HCA Visual Arts Students’ family and friends to attend! All are welcome! Congratulations to all students who participated in the 2016-17 school year in the Visual Arts Department. We look forward to celebrating your year of learning with a final exhibition. The exhibition continues over the Summer for all visitors to enjoy!